The next generation of the internet, web3, will include a decentralized web powered by the blockchain. The agree3 application leverages that capability to empower persons to use the blockchain to conclude two party agreements. 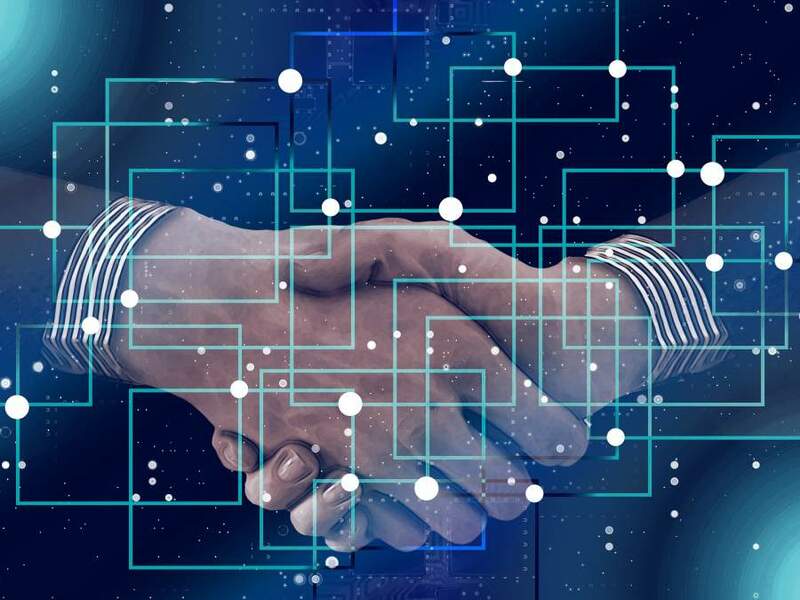 While at present a supplement to the current online and offline methods for concluding agreements, sometime in the future the blockchain and smart contracts may be the primary method for concluding international agreements. The power of the blockchain creates an immutable record of your agreement. Two-party agreements through digital agreements combined with account addresses of both parties. Cross-border, international agreements between two parties. You need a web3 supporting browser to use this Ethereum DApp … something like Mist or the MetaMask browser extension. As the first step, the first party to the agreement (person #1) enters a title, description, and the account address for the second party to the agreement (person #2). Person #1 then uploads or copy/paste the agreement and then submits it to the blockchain. As the second step, person #2 uploads or copy/pastes an EXACT copy of the agreement and uses their account address to access the blockchain ... where the agreement and person #2's account address are verified with the data on the blockchain. If it matches, person #2 is then allowed to approve the agreement. You (person #1) begin process of concluding an agreement by putting a record on the blockchain. Note: 0.05 ether fee to create a record, in addition to gas. Step #1: Enter a title (in 40 characters/spaces or less) for your agreement. Step #2: Enter a short description (in 200 characters/spaces or less) of your agreement. Step #3: Enter the Ethereum ADDRESS of the other party (person #2) to the agreement. Upload the file of your agreement. Input your agreement here (in 10,000 characters/spaces or less). Step #5: Submit to the blockchain after you have completed steps #1, 2, 3, and 4. Check to see if your transaction is complete. Once your transaction is complete, click the below button for the details that were sent to the blockchain. Once you have confirmed your transaction is on the blockchain, contact the other party to your agreement and have them complete the below section. The other party (person #2) in the agreement completes this section by approving ("signing") the agreement. Note: 0.05 ether fee, in addition to gas. Step #1: Provide a copy of the agreement. Comfirm that your copy of the agreement is the same as provided by the other party in the above section. Important: Your agreement must be EXACTLY the same as the other party's agreement. For example, a missing or extra space, or an extra, missing, or different word, will result in a different validation hash being generated and thus the two agreements are different ... and thus will be rejected. Also, your Ethereum account ADDRESS must match the address provided by the other party to the agreement. Step #2: Confirm that this agreement is on the blockchain and that you are the other party (person #2) authorized to approve this agreement. Step #3: Approve the agreement by submiting to the blockchain. View your digital record(s) currently on the blockchain for the agreement(s) you have submitted and/or approved. Important: Make sure you access the Ethereum network with the same account you used to submit or approve the agreement(s). Your record details displayed are: title; description; date created by person #1, date approved by person #2, and the status of your record.